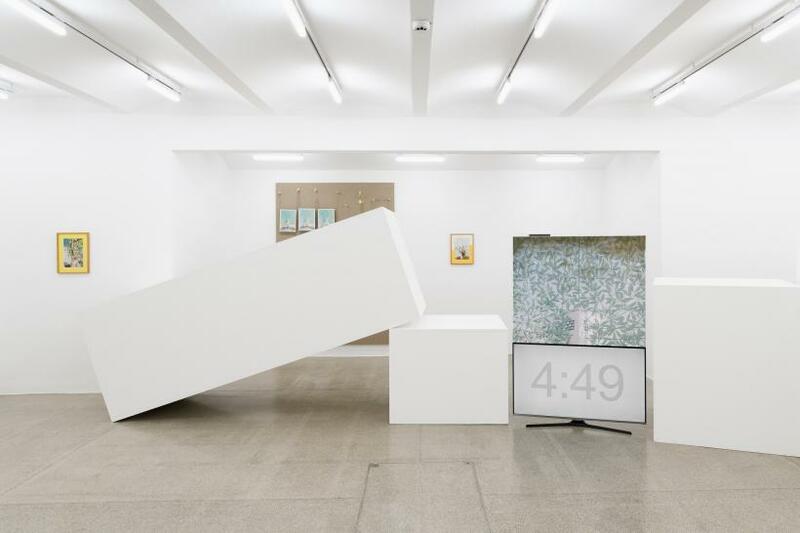 Endeavouring to create yet another enhancing experience, the Austrian artist Philipp Timischl, in his exhibition ‘Artworks for all Age Groups’ at the Secession Wien, addresses questions of belonging, roots and queerness. Balancing notions of the private and public spheres, as well as documentation versus fictional representation, Timischl critiques social dynamics in relation to the self and body. Using the spaces of the Secession almost like a stage to exploit according to his own disposition, Timischl queries how the everyday can be represented. Introducing elements within the gallery to disrupt the audience’s perception, Timischl draws the viewer into a dilemmatic relationship between the performative body and the city. The exhibition includes a series of photographs showing Timischl wandering through the halls of the Secession. 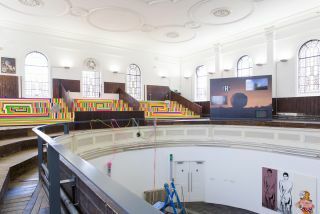 Dressed in drag, echoing the scheme and colour of the building, the artist poses confidently in front of the camera. Close-up snapshots emphasize the detail of his person, highlighting individual aspects of his clothes, make-up and facial expressions. In contrast, a series of photographs taken from a greater distance frames the artist’s body, his relationship to surrounding spaces and other possible participants. Positioned in different settings within the Secession, Timischl considers himself in relation to the building, its history and cultural status in order to explore his self, his self-representation in a class society and the threshold between the private and public. Entering the lower ground spaces of the Secession, where the exhibition can be found, visitors encounter a labyrinth of white structures. 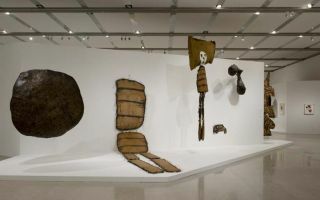 The photographs are placed individually onto the four walls of the gallery, interrupted by these spatial block elements, which separate the room into different sections. This set-up forces the distance between visitors and images to vary constantly, reconfiguring the accessibility of Timischl’s photographs. This struggle, imposed by the blocks, exposes the difficulties of encountering and understanding oneself as well as the fine line between documentation and representation of the fictional, performative self. As the visitor moves from one picture to another, they unconsciously follow the path of Timischl’s journey through the gallery. Drawn into these photographs, they experience their own subjective encounter with the public in the closed space of the gallery and the broader city. Through the introduction of moving images, in the form of audio-visuals, Timischl fuses technology with the static picture. 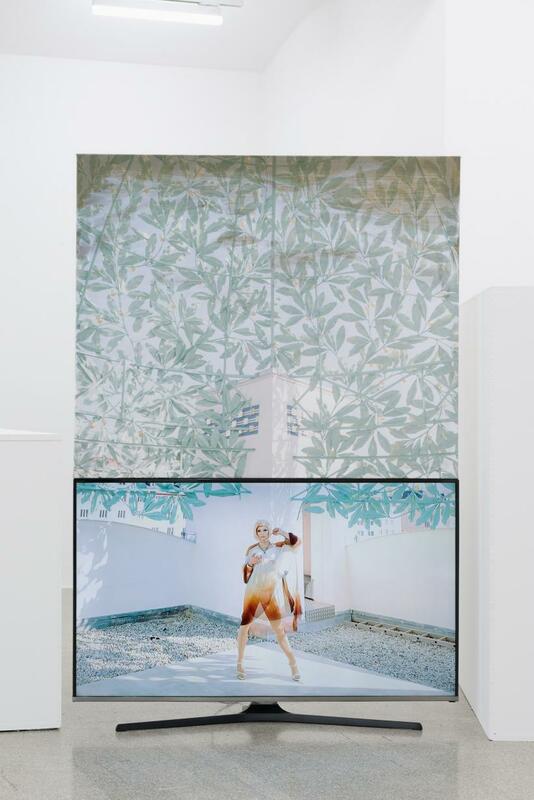 Screens placed within the blocks play regular, quick video-cuts of Timischl’s walk, showing the artist longing for an encounter with other bodies and the sensual stimulation of an audience. 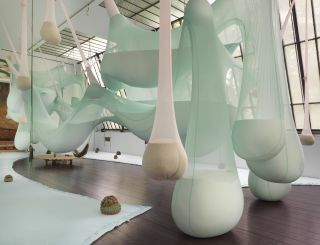 The exhibition creates an interactive dynamic between its interruptive installation elements and the audience. 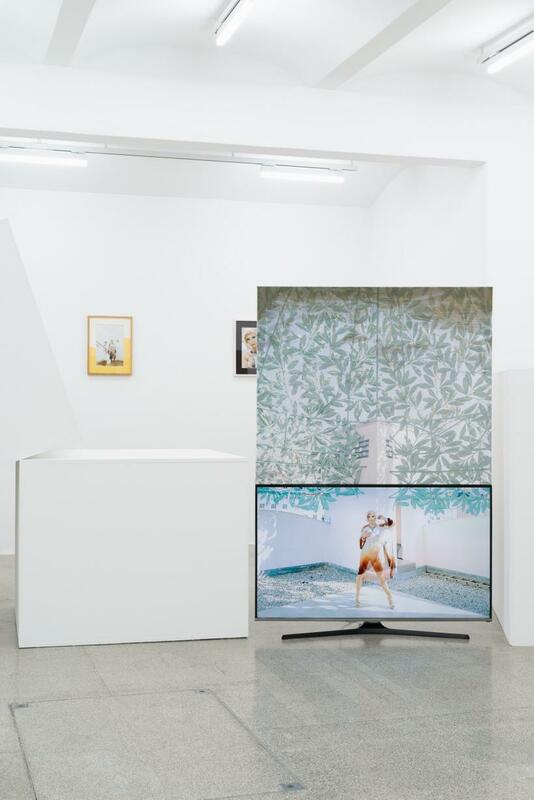 Shifting between settings, there is a multiplicity of spaces and experiences in this show that emphasize the importance of understanding the performative self.